From discreet surveillance earpieces to bluetooth swivel earpieces, speak and listen freely with CLP headsets. Enjoy a minimalist design with the best quality on the market. 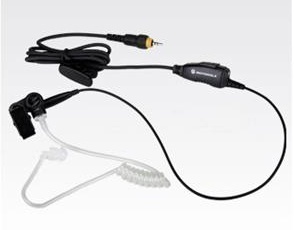 A compact and lightweight communications earpiece designed for use with CLP-series radios. It has an inline PTT microphone that clips to your clothing for convenient use. 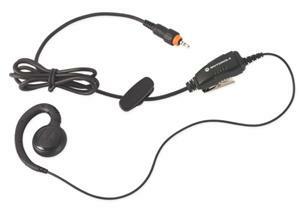 This headset comes standard with CLP 1010 and 1040 radios. Built for comfort, this optional durable earpiece allows users to receive communication discreetly in a simple and cost-effective design. 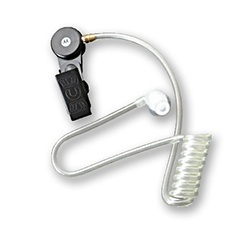 This optional single-wire earpiece offers a combined microphone and push-to-talk capabilities. Includes a clear acoustic tube and rubber eartip for extended wear comfort. Replacement acousitic tube for the Motorola CLP Surveillance Earpiece. 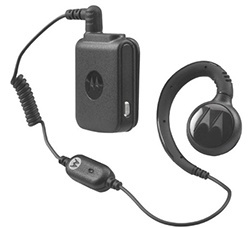 Compatible with the Motorola CLP1060 Bluetooth capable radio, this earpiece is optimized for either ear, and offers a long battery life. This headset comes standard with the CLP 1060 radio. CLP two-way radio headsets are a great way to stay connected. Retail, restaurants, hospitality or surveillance, choose an earpiece headset that's right for you.